Originally published by Wisconsin State Journal. View original here. Occasionally a misinformed reader asserts wind turbines produce insignificant electrical output. That’s simply untrue. MGE reports the energy produced by its wind turbines annually. According to reports, its Rosiere Wind Farm in Kewaunee County produced 19,513,000 kilowatt hours in 2011 and 20,279,000 in 2012, the former at an operating cost of 2.11 cents per kilowatt hour. 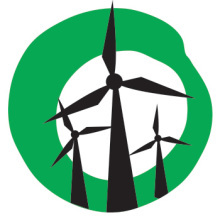 MGE reported that its Top-of-Iowa Wind Farm produced 80,592,300 kilowatt hours in 2011 and 74,147,900 in 2012, the former at an operating cost of 1.48 cents per kilowatt hour. MGE also reports the energy it buys from two Iowa and one Wisconsin wind farms owned by others. 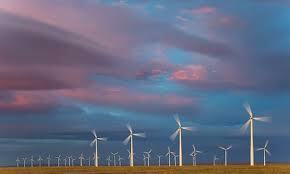 It reported total wind energy purchases of 275,932,000 kilowatt hours in 2011 and 290,540,000 in 2012 at a net cost of about 6 cents per kilowatt hour. By contrast, MGE’s inefficient Blount Street Plant, which burns natural gas, produced only 47,689,100 kilowatt hours at an operating cost of about 14 cents per kilowatt hour in 2012. Modern wind turbines are being widely adopted in other states in the Midwest because they are productive and cost-effective. Previous Previous post: PollieWatch: Has Premier Napthine lost faith in the Health Dept?